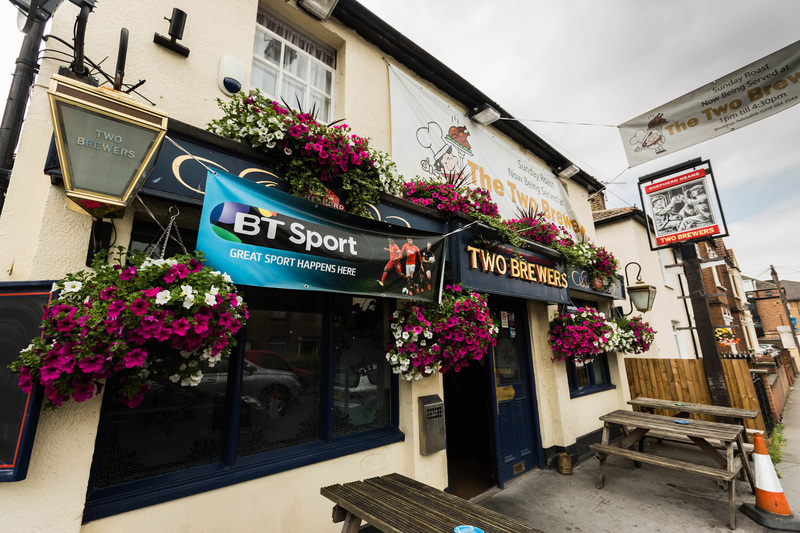 A friendly and inviting local pub in Croydon, The Two Brewers serves up fine ales, live sport and community spirit. The traditional Victorian pub is a hub of entertainment - with karaoke on Fridays, poker on Wednesdays and live music every month, plus regular charity quiz nights raising proceeds for good causes. With the pub near Selhurst Park football stadium, home of Crystal Palace FC, The Two Brewers is also a popular place for football fans to savour a pre- or post-match pint. Even on match days though, the pub enjoys a relaxed, good-natured atmosphere - making it one of the best Selhurst Park pubs for families with children. You can watch other sporting occasions live on BT Sport here too, and there’s darts and pool when you want to make your own competition. Alternatively, you can escape the sport altogether, and head for the peace and quiet of the pub’s lovely back garden. The Two Brewers pub near Selhurst Park lies less than a mile from the ground, and a short stroll from the local Selhurst train station.